If you’re designing a book or any other type of printed material, you want an end product that properly showcases your talents and creativity. Anyone can simply print their work on a normal piece of paper and call it a day, but we’re here to remind you that your artistry shouldn’t end when you send your materials off to be printed. 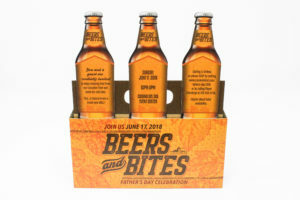 There are a ton of creative printing options you can take advantage of to really make your end product unique. Below are just a few of the options we offer to our clients. Your art is creative, so be sure your materials are showcasing it properly and making it shine! Die-cutting is the process of cutting print material into various shapes. If you’ve ever seen a pop-up book, there’s a good chance the pop-up items were created using die-cutting. This technique can be as versatile as your imagination. You can shape entire printed pieces, edges and/or interior pages/folder flaps. Most printed pieces are produced as rectangles and squares, but die-cutting offers your materials an opportunity for enhanced visual appeal. This tactic can make your end product attract more attention and make your creativity stand out. A symbol or image that has been impressed into a printed product has been embossed, while an indented symbol or image has been debossed. The raising/lowering of these designs, relative to the product they’re printed on, provides them with a distinctive three-dimensional effect. 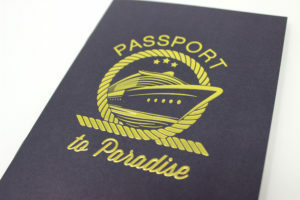 This printing method not only boosts the end product’s visual appeal, but also adds an engaging touch-and-feel effect. Use this cool technique with your artistic designs to stimulate people’s senses of sight and touch. If you’ve ever felt a piece of material with a soft, velvety-type texture, it was most likely printed using a soft touch finish. 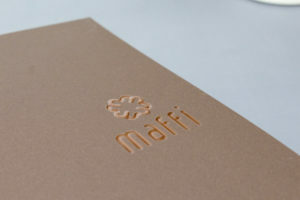 While many creative printing techniques appeal to an individual’s sense of sight, soft touch finishing almost solely appeals to their sense of feeling. Most standard printed materials will simply feel like paper, but you can use this process to give your designs and products a special surface that people will love to touch and hold. Don’t diminish your work by printing it off on an average piece of paper. Instead, enhance your creativity with these techniques and more. Contact us today to see how we can help showcase your art using the many printing options we offer, because your work deserves it!